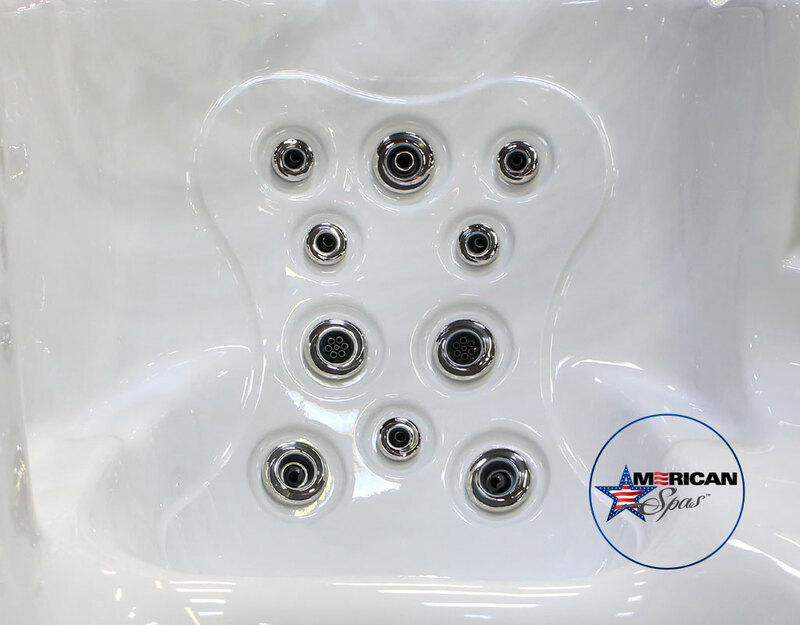 At American Spas we focus on the diversity of our consumers and it is important for you to invest in the correct Jet configuration for your physical needs. It’s usually very easy to find jet count when browsing hot tub models. What’s sometimes more difficult to find is any information about the jets. At American Spas, we know that an excellent hydromassage doesn’t come from just a high number of jets. The best massages come from strategic jet configuration of high-flow jets designed to target tension-holding muscles. Below are some of our top sellers when it comes to high therapy configuration, look around you might see the one thats good for you. Knowing what you’ll use your hot tub for can help you decide which model’s jet configurations are best for you. If you have an active lifestyle and are using your hot tub to recover after physical activity, a lounger model may be the answer. In the lounge, jets targeting the legs, back and shoulders provide full-body recovery. Are you the “entertainer” in your friend group? An all-seat hot tub gives you more seats and room for more friends. American Spas Bench-seat models have different jet configurations on each seat, so each station in the spa provides a completely different hydromassage experience. Whatever model you choose, all hot tubs from American Spas have Stainless Steel Jets — standard. These high quality jets not only look great, they are built to last to provide years of enjoyment. Plus, the jets are adjustable to make each massage experience more personalized. While shopping for your spa, remember to go beyond jet count! During your shopping experience, pay attention to jet configuration — looking for targeted positioning and variety in each seat — to be sure that your spa’s jets fit your needs. Don’t see the jets you need here Visit our online Showroom to learn more and see what jets will fit your needs and Buy your home therapy system today!